Athens is the capital of the Prefecture of Athens, of Attica District and of Greece. It is located in Sterea (central) Greece and constitutes a vibrant economical, cultural, and administrative center of the country. Athens today is modern city, but famous as well due to the fact that back in antiquity, it was a mighty powerful city-state and a most significant cultural center. In fact, it is considered to be the most historical city in Europe. The city was named in antiquity after the Goddess of Wisdom, Athena. It is the official capital of Greece since 1834, and it is the most oriental capital of Europe. Athens is also the most important commercial city of Greece, and Piraeus, its main port, is one of the most important in the Mediterranean. 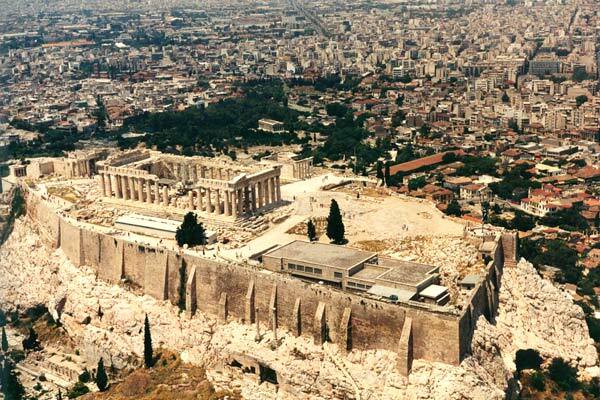 Athens is one of the few capitals of Europe with thousands of years of history. Many consider the city as the cradle of the modern civilization (source). Orthodoxy is the national religion in Greece and is considered as the only true and right religion by the majority of the Greeks: ethimologically, Orthodox means “right belief”. It is integral to life in Greece, due to the country’s historical past. 98% of the Greek population belongs to the Orthodox Church, while the rest are Muslim (1.3%), Roman Catholic, and Jewish. Few countries have such a proportion of Orthodox people. The Orthodox Church forms the third largest branch of Christianity (source).